As fall turns to winter and we prepare for the holiday season, the English-speaking community of Quebec appeared to receive an early Christmas present when the Parti Québécois government announced it would shelve its controversial plan to reinforce language laws with Bill 14; however, the part of the bill most opposed by the Quebec Community Groups Network — a move to include primacy of the French language in the preamble to the Charter of Rights and Freedoms — was rewrapped and presented as part of the PQ’s so-called Charter of Values. This community was fervently opposed to this move as were Quebec’s Human Rights Commission, the Quebec Bar and most other jurists and legal experts. The English-speaking community was also much opposed to Bill 14 for a number of other reasons, including possibly revoking bilingual status for dozens of municipalities, restricting access to English-language CEGEPs for Francophone students and forcing small businesses to follow restrictive francization clauses of the Charter of the French Language. Because the PQ refused to budge on these issues, the Coalition Avenir Quebec (CAQ) did not support the minority government bill which did not have a chance of passing without support from the CAQ or the Liberals, who opposed the bill in its entirety. But we have not seen the last of the bill and many of its controversial components. Language and Immigration Minister Diane de Courcy has vowed that if the PQ wins a majority government in the next election the bill will be resurrected. In the meantime the QCGN has moved its focus to opposing the Charter of Values which proposes to modify the provincial Charter of Human Rights and Freedoms to impose a state-defined collective identity particularly the primacy of the French language and the PQ’s notion of secularism. Following a consultation with members and discussions with other stakeholders, the QCGN’s board of directors strongly condemns attempts to suppress the protection of individual human rights and freedoms in favour of a state-defined collective identity. To read our press release, follow this link. The QCGN is heartened to see a number of Quebec institutions — both English and French — have come out against the Charter. Most are opposing it on the basis of how the PQ’s view of secularism attacks the individual right of religion and freedom of expression but we hope more groups will oppose it because sneaking in the Primacy of the French language is another direct assault on the institutions and freedoms of Quebec’s English-speaking community. While we all feel the Charter’s chances of passing are very slim, it is important to stand up against the notion that the state can create a hierarchy of rights where all of our individual rights and freedoms are subject to state-defined values. On Nov. 19, the Quebec Community Groups Network hosted the official launch of Seniors Action Quebec, a new provincial network for English-speaking seniors that plans to provide a provincial voice that will influence program and policy change to address the needs of Quebec’s English-speaking seniors. The creation of Seniors Action Quebec got its genesis in 2007 when the government of Quebec held public consultations across the province to assess seniors’ living conditions. At the time, the co-chair of the roving commission, Sheila Goldbloom, noted there was no representative group of English-speaking seniors for the government to consult with. Watching the greying of our community, and knowing that the issues our seniors face are at the same time very similar and very different to the needs of French-speaking seniors, the QCGN heeded Goldbloom’s suggestion and set about incubating a seniors group with support from the New Horizons for Seniors project from the federal government and the Soutien aux initiatives visant le respect des Aînés (SIRA) project of the provincial Ministère de la Famille et des Aînés. In 2009, the QCGN created a Seniors' Working Committee with representatives from across the province who came together to discuss needs and key priorities for Quebec’s English-speaking seniors. The committee helped produce Blazing a Trail for Active and Healthy Aging: An Action Plan for Quebec’s English-speaking Seniors which consolidated pertinent government recommendations, results of a survey of English-speaking seniors, as well as advice from key community leaders and organizations. The main priority identified in this action plan was the creation of a provincial network for English-speaking seniors. To help implement this goal, and to improve networking among English-speaking seniors, the QCGN began a new project in 2010 to help organizations working with seniors share best practices; provide seniors with greater access to resources; and develop partnerships and to coordinate seniors’ demands. We thank those who participated in these various initiatives for helping blaze a trail for our seniors and launch this important initiative that will set a path for building healthier communities and a brighter future for our seniors. On hand for the launch of Seniors Action Quebec was the Commissioner of Official Languages, Graham Fraser, who presented his new study entitled Enjoying Your Senior Years in Your Own Languages, Culture and Community: Federal Support from Key Institutions and Portrait of English-Speaking Seniors in Quebec. This study provides a data-based portrait of the situation of Quebec’s English-speaking seniors. We are indebted to the commissioner for the study and particularly for his recommendation that federal institutions whose activities affect seniors in official language minority communities, especially Canadian Heritage and Employment and Social Development Canada, take measures to ensure that representatives of official language minority community groups are systematically consulted in the development and implementation of policies and programs that affect seniors. He also stressed that it is important for federal institutions to coordinate their efforts to fill gaps in research on the aging population in minority communities. Next week, the English Language Arts Network (ELAN) will be holding a Flash Conference to get input from Quebec’s English-speaking community on the future of Canadian television. The goal of the conference is to bring individuals and groups concerned about the future of television. In order to have a greater impact on the CRTC, the QCGN and ELAN hope that English-speaking Quebecers from all over the province will share the very specific problems experienced outside in their regions. Those of you who are not in Montreal, as well as Montreal-area residents who cannot attend the Flash Conference, are invited to share your comments and observations. See below for more information on how to share your opinions. In the last Network News we told you about the winner of the 2013 Goldbloom Award. To read about the ceremony, click here. Finally, I would also like to take this opportunity to congratulate the Quebec 4-H, which celebrated its centennial last weekend as well as the Quebec Writers’ Federation which recently feted its 15th anniversary of supporting Quebec writers and literary community. And to all I wish you a Happy Holiday Season and a prosperous New Year. The Future of Canadian Television — What Do You Think? The CRTC is currently conducting a major review of its television regulations, as its ad campaign Let’s Talk TV: A conversation with Canadians about the future of television suggests. The CRTC is examining the quality and diversity of TV, funding for Canadian content, delivery platforms, and costs for consumers. The CRTC has not reviewed its policy since 1993, long before the advent of on-line streaming, video on demand, or Netflix. It is time for a radical review of what TV means, how it is produced and delivered, and who pays for it. Read more in this Globe and Mail article. The English Language Arts Network (ELAN) will be holding a public forum — the CRTC calls them a Flash Conference — to answer the CRTC questions from a local perspective. Some of our concerns are shared with all Canadians, others are specific to Quebec's English-speaking community. Everyone interested in the CRTC's next generation of regulations for Canadian broadcasting is invited to join us Wednesday, Dec. 11, from 6 to 8 p.m., at SHIFTspace (1190 Saint-Antoine, across from the Bell Centre). Space is limited so please RSVP at info@quebec-elan.org. After a successful start helping English-speaking Quebecers in their entrepreneurial ventures, Voice of English-speaking Quebec (VEQ) and Youth Employment Services (YES) will be hosting a business coaching and network event in the new year. The VEQ-YES partnership began in 2011, when English-speaking Quebecers identified a need to improve entrepreneurial services for their community. As a result, VEQ, which is dedicated to preserving the English-speaking community in the Greater Québec and Chaudière-Appalaches regions, along with YES, which provides English-language services to help Quebecers find employment and start businesses, launched a regional initiative to develop long-term, sustainable services to support entrepreneurs in the province. Since its inception, the partnership between the two non-profit organizations has been a successful one. Although limited in resources, they made a commitment to develop sustainable, long-term services. Now, each month English-speakers in Quebec City have access to either a one-on-one business coaching session or an entrepreneurial workshop/seminar YES runs. The business coach offers participants personalized support and the supplemental entrepreneurship workshops and seminars are designed to encourage networking and business owners locate the resources they may need to start, grow or expand their company. Past workshops and seminars have included the Jump Start Your Business Workshop, Grants and Loans Workshop and Validate Your Business Idea Seminar. 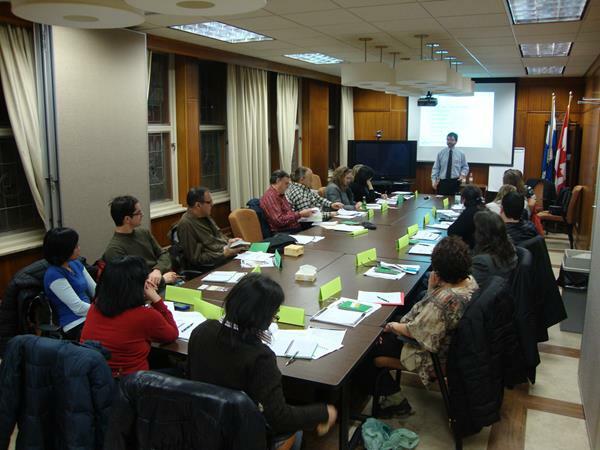 In the past year alone, more than 120 English-speakers have benefitted from YES’ professional business coaching and entrepreneurial workshops and seminars in Quebec City. Paul Martin was one such participant, having attended both the workshop series and the business coaching sessions in 2012. The upcoming business coaching and workshop series that will be held in Quebec City are as follows: Thursday, Jan. 16, 2014 (business coaching and networking event), Thursday, Feb. 13, 2014 (business coaching) and Thursday, March 13, 2014 (business coaching). For all inquiries about VEQ’s Entrepreneurial program or the upcoming business coaching and workshop series, contact Alison Maynard, newcomers coordinator for VEQ at 418-683-2366 ext. 225 or entrepreneur@veq.ca. For inquiries about YES’s services, contact Leann Brown, entrepreneurship administrative coordinator for YES at 514-878-9788 ext. 316 or lbrown@yesmontreal.ca. The Quebec Anglophone Heritage Network (QAHN) and the Quebec Federation of Home and School Associations (QFHSA) are inviting the school community to participate in a project that will provide students an opportunity to contribute to the written history of Montreal in a very personal way. Mapping the Mosaic/An Island of Stories, launched on Nov. 22 at the QPAT Teachers Convention, is an inter-generational activity which will explore family history through the research and description of a special place/building/site on the island of Montreal and surrounding area. Mapping the Mosaic, an innovative and easy-to-use mapping website, will provide the venue to post those memories to share with the English-speaking community. It is a participatory website where students pin their favourite stories to an interactive map of neighbourhoods throughout Montreal, Laval and off-island suburbs. Submissions will be divided into two main sections: Memories and Histories. Memories will tell personal stories of real, lived experiences — from first-hand recollections of life in a particular neighbourhood, to inherited family stories or archival anecdotes of traditional ways of life. Histories will focus on factual history – stories about the people, places and events that have shaped Montreal history. For more information on this initiative contact Matthew Farfan at execdir@qahn.org. This fall, the North Shore Community Association (NSCA) launched North Shore Memoirs II, a new publication which immerses readers in the memories of English-speaking community members who, through their stories, trace the beginnings of the industrial region. Embellished with archival photographs, the book, launched at an annual community gathering on Sept. 21 in Port-Cartier, reveals the emotions of these newcomers in towns under construction, their lives, as they build their families and contribute to these thriving communities. The economic, social, cultural and daily family aspects of life highlight and enrich the region’s young history. This publication was made possible through funding from Human Resources and Skills Development Canada’s New Horizons for Seniors Program and the support of Canadian Heritage, the Société historique de la Côte-Nord, the Centre d’archives de la Côte-Nord de la Bibliothèque Nationale du Québec, as well as the 24 people who, through their words and the loan of photographs, have become the subjects of this book, said Lessard. The NSCA, a regional non-profit association, represents and serves the English-speaking community of the North Shore. This minority, consisting of some 2,000 people or 2.4 per cent of the total population of the region, is well integrated and has deep roots in the history of the North Shore. 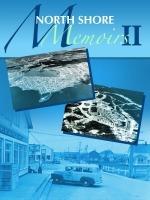 To obtain copies of North Shore Memoirs II, at a cost of $10, call 418-296-1545. Prolonged unemployment creates depression, stress and low self-esteem, which can be reversed in most cases with proper support, say a new report. Unger emphasized that in most cases the mental health issues are situational and with a bit of support — not necessarily from institutions or hospitals — people can move forward, according to a new report, Building Youth Resiliency and Community Vitality within Montreal’s English Language Population, commissioned by YES Montreal and funded by the Community Health and Social Services Network (CHSSN). The report, released at a press conference on Nov. 25, details the challenges that youth face when entering the job market, the specific challenges of Quebec’s English-speaking minority, and recommendations from YES Montreal based on its own experience in providing front-line services to English-speaking youth. The report compiled data through an Internet-based survey, key informant interviews and a statistical profile of English-speaking youth in the greater Montreal area. The report provides evidence that this is an increasingly important issue and resources that could help in preventing major mental issues are not adequate to meet the needs. According to surveys from the Institut de la statistique du Québec, English-speaking respondents display a greater prevalence of mental health problems (seven per cent) compared to French-speaking respondents (4.4 per cent) and are more than twice as likely to perceive their mental health as poor. In 2009, YES Montreal launched small group sessions for clients experiencing psychological distress, which addresses transition-related socio-emotional challenges through a peer-to-peer format. The sessions helped clients move forward in the employment process. The literary community turned out in force on Nov. 19 to celebrate the 15th anniversary of the Quebec Writers' Federation. 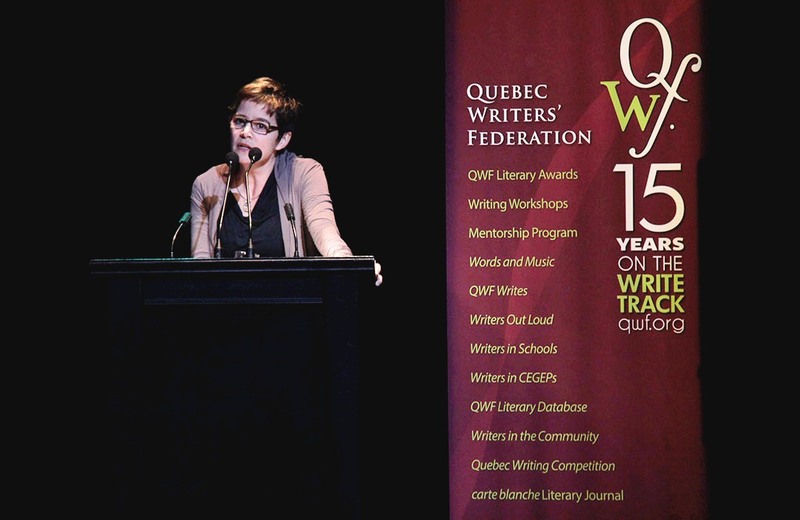 Hosted by actor, playwright and author Ann-Marie MacDonald, the awards gala honoured the group’s founders and handed out QWF’s annual literary prizes. Top awards went to Saleema Nawaz for fiction, Adam Leith Gollner for non-fiction, Ken Howe for poetry, Andrew Szymanski for first book, Paul Blackwell for young adult literature and Donald Winkler for translation. 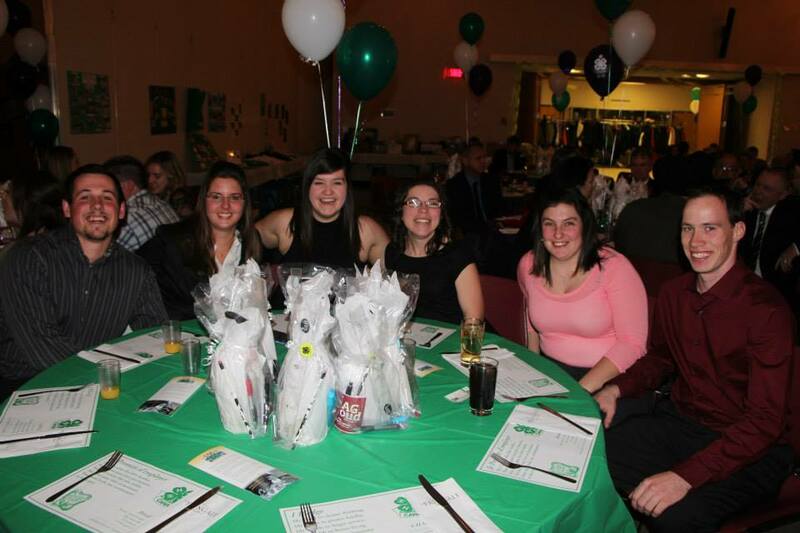 More than 200 members, alumni and friends of Quebec 4-H gathered for its 100th anniversary celebrations on Saturday, Nov. 30 at McGill University’s Macdonald campus in Ste-Anne de Bellevue. Clubs and the provincial association exhibited historical displays, photos and mementoes and alumni from different eras shared favourite memories over dinner. Guests enjoyed square dancing and reminiscing about the last century.